The Toyota HiLux just topped the new car sales charts for the sixth month in a row and looks set to be named Australia’s top selling car for the second year in a row. But with Mercedes planning to introduce its X-Class Ute to the Australian market next year, perhaps you’re still on the fence about taking the leap and investing in a good old HiLux. Well, if that’s the case, here’s everything you need to know about Australia’s most popular car. 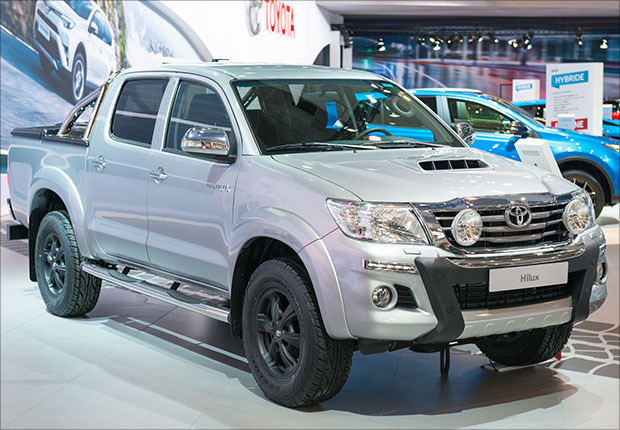 With the wave of discounts that Toyota introduced across the range bringing sales to record levels, it seems like every second car you meet on the road is a HiLux. But it’s not just the discounts that make this car a good choice. As with the majority of utes available on the market, you have three choices when it comes to seating; single-cab, extra-cab, and double-cab. Realistically though, if you’re looking for any level of comfort for backseat passengers, then the extra-cab is out as it’s a pretty tight fit in the back. HiLux buyers are spoiled for choice when it comes to engines. The 2.4L is what you’ll find in the 4x2 WorkMate model, and it delivers 400Nm of torque and gives you an incredible fuel efficiency of 7.1L/100km on a manual transmission. The 2.8L is available in the SR and SR5 models delivering 450Nm of torque and fuel efficiency of 7.3L/100km on a manual transmission. Those that prefer petrol can choose between a 2.7L and a 4.0L V6. Although petrol engines are usually less powerful than their diesel counterparts, the 2.4L still packs a punch delivering 245Nm of torque while the 4.0L delivers 375Nm. Buyers can choose six-speed automatic or manual. The manual transmission is now ‘intelligent,' matching engine revs to the gear selected while the automatic has downshift control which helps with fuel economy. The interior of the latest HiLux is a definite step away from the light truck interior of old and a move into the passenger car comfort zone. The design smacks of a Toyota Camry, and that’s a good thing. Regardless of what model you choose there’s plenty of comfort with some models even coming with an air-conditioned cool box for your cold drinks and sandwiches. As with previous models in the HiLux range, there’s a huge range of accessories to choose from. And that’s just the tip of the accessory iceberg. No doubt your dealer will inform you of all the extras any self-respecting HiLux driver can’t live without. You get a three-year/100,000km warranty on every HiLux which is pretty much the standard for a new car these days. You also get a three-year/60,000km capped-price service plan. This means that every service for the period of your plan is fixed at a specified rate. Prices for the HiLux start at $20,990 for the 2.7L Workmate and work their way up to $60,990 for the TRD 4x4. That’s a huge difference from the base model to the top of the range. 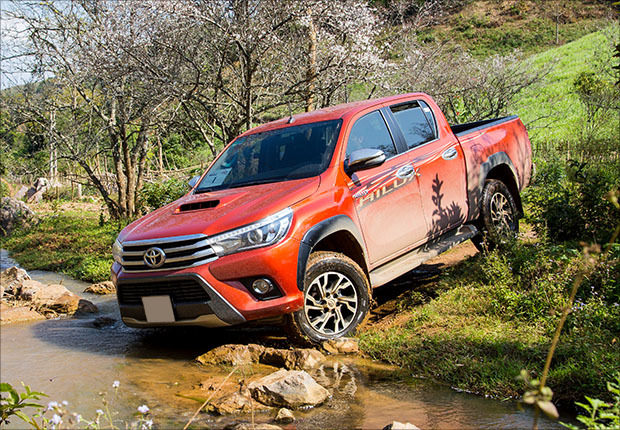 The fact that there are so many affordable options to choose from at the lower end of the scale is likely one of the reasons the HiLux is so popular. If you’re interested in joining the 42,104 Australians that made the HiLux the best-selling car of 2016, then let Stratton find the best finance package to suit your needs. Trust us; we know a thing or two about finance if it’s a HiLux you want then we’ll do our level best to make it happen for you, so get in touch today and let’s get you on the road.